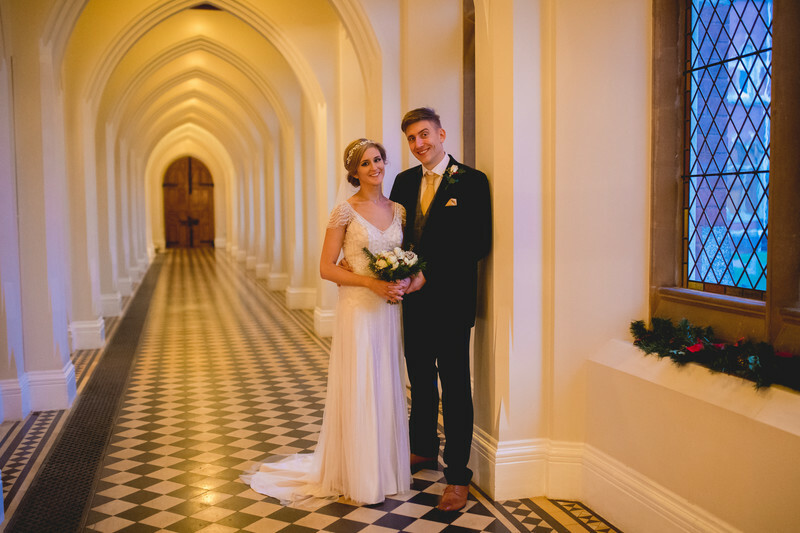 Nicola and Alex had their wedding at the magnificent Stanbrook Abbey in Worcestershire. They had a Christmas wedding, meaning that the light levels fell rapidly after the wedding ceremony but that didn't stop us from getting some awesome wedding photos. Stanbrook Abbey is a fantastic wedding venue, and one of my absolute favourites to work at. Stanbrook Abbey is a former monastery with it's roots dating back to the early 16th century. Stanbrook Abbey was designed and built by Augustus Pugin, with one of the crowning highlights being the Callow Hall, which is where wedding ceremonies today take place. Labelled as one of Worcestershire's best kept secrets, Stanbrook Abbey is set is 26 acres of private grounds, meaning there is a massive amount of choice for when it comes to having your wedding photos taken. There is an extensive manicured garden to the rear of Stanbrook Abbey (formerly the front entrance) a lavendar garden as well as a beautiful lake, with a bridge, willow tree and a lover's swing. Even with the extensive gardens and grounds of Stanbrook Abbey, when it comes to winter weddings, one of my favourite photos is the one you see here. The lights on the outside of George's Bar can be set to an array of colours, but personally I always think the pink/purple makes for the best wedding photos. 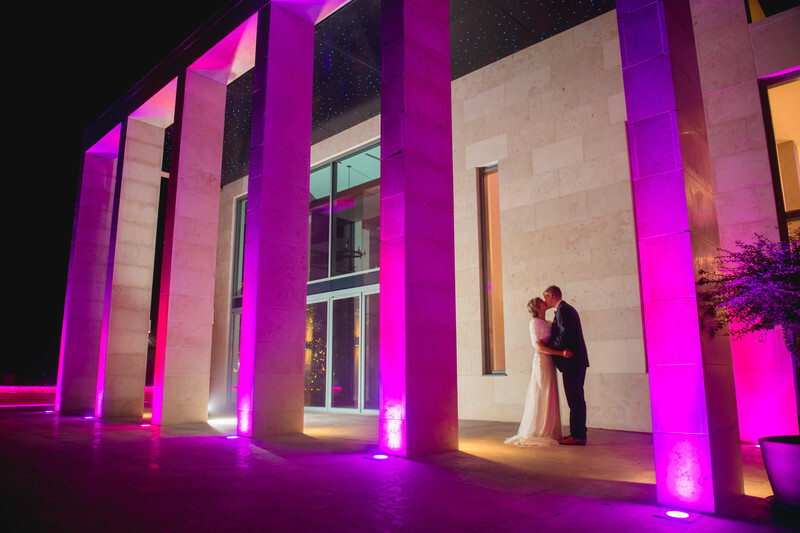 To complement the up-lighting, for this photo I used an off camera flash to help illuminate both the couple and the front of Stanbrook Abbey.